IU researcher Chanh Kieu aims to better understand hurricanes in relation to future climate states. In the past two decades, hurricanes have been a subject of increasing concern in the US and the international community. In the 2017, for example, Hurricanes Irma and Maria devastated certain regions of the US resulting in the loss of over a hundred lives and billions of dollars in property damage. As strong hurricanes appear to be getting more frequent and deadly, scientists are wondering about their relationship to future climate. This is the focus of IU researcher Chanh Kieu, Department of Earth and Atmospheric Sciences, and IU’s high-performance computing resources are playing a key role in his research. He and his team are trying to understand how or if hurricanes will change as a result of future rising temperature. 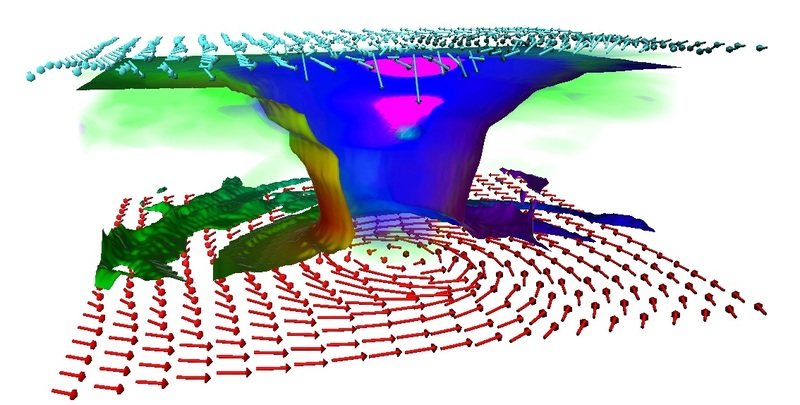 To do this, Kieu’s research group employs numerical simulations of hurricanes under different future hypothetical climate conditions, starting from the early formation until the mature stage. Using the IU supercomputer Big Red II+ and a state-of-the-art numerical model of the atmosphere, they create a hurricane vortex inside the model and conduct high-resolution simulations to see what happens inside the hurricane central region. In doing this, they hope to see how future climate can affect the strength, structures, movement as well as the number of hurricanes. One of the main computing challenges that Kieu’s research group constantly faces with this type of modeling research is the storage problem, in addition to the extensive computational resources required. Because the team is running high-resolution simulations, their research requires a storage capacity that could handle a high volume of data. Furthermore, their modeling system needs thousands of computer cores to run in several months. Kieu’s group turned to the supercomputers Big Red II and Big Red II+ to solve the storage problem and his team among heaviest users of these resources. “The computing infrastructure we have here at IU is among the best ones because of the consistency, the maintenance, and the upgrades that we have. You cannot find it anywhere else that is all free for the faculty members and students like here”, says Kieu to UITS Research Technologies. Assuming the current rate of global warming trend is realized in future, the initial findings from the research suggest that hurricane intensity appears to be stronger in the near future, albeit the evidence is not conclusive at the present. As explained by Kieu, such an uncertainty in projecting future hurricane intensity is because that there are other major factors that could affect the ambient environment that hurricanes are embedded within. So, one cannot rely solely on warmer surface temperature to project hurricane intensity. 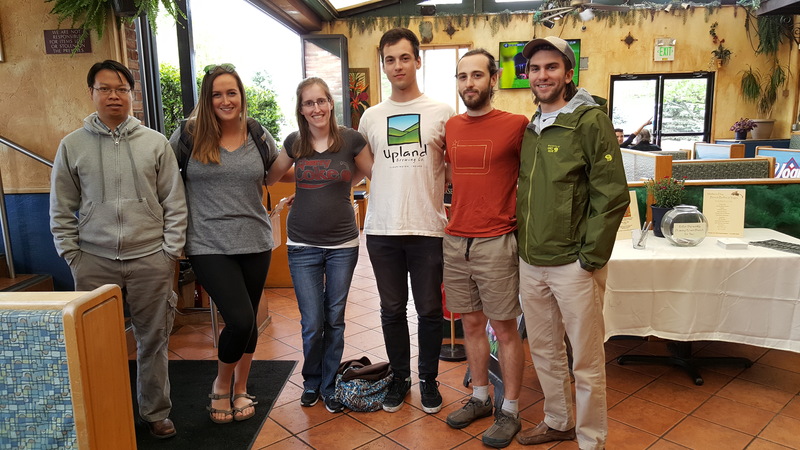 Beyond the hurricane research, Kieu’s research group is working on a climate modeling direction under the IU Grand Challenge Project: Prepared for Environmental Change that aims to bringing major benefits to Indiana community. With this project, Kieu’s lab is conducting modeling studies of Indiana's future climate, with the ability to allow for different climate scenarios in Indiana. The results are then distributed to different research groups in such areas as health, environment, water, agriculture, and so on. How can this data help the community? Kieu explains that, for example, the water group can use this data to predict different precipitation scenarios including drought and, therefore, may give valuable information to policy makers in planning future cities. He hopes that the outcomes from this project would be valuable to other research and planning groups in Indiana as well. Currently, Kieu’s research group is waiting for a new storage system in Big Red II+ to perform full-scale climate downscaling experiments for Indiana. In collaboration with other information and technology units across all of the IU campuses, his group hopes to design a friendly user interface that allows public users to pull out the desired data from this climate downscaling research under the Grand Challenge project. For example, if one wants to know how the climate conditions in Bloomington will look like in 30 years from now, one can just go online and easily grab it from the system. This research will directly benefit the Hoosiers in the years to come, as set out by the IU Grand Challenges initiatives.